By far our most popular sign this Christmas – winter is still here and its nice to practise #HYGGE albeit in a lower calorie way than before Christmas!! Blimey can’t believe its been so long since I’ve done a blog post. Christmas 2016 and has just been a blur since August when the main production was done. We thought this year wouldn’t be so manic as we were really organised but hadn’t counted on the number of personalised products which are obviously made on demand going out! Anyway happy new 2017 – New Years resolutions and all that – to help with that diet we’ve got a few little gems for motivation! Think my New Years resolution is to blog more! Our fabulous Yorkshire Speak range is now in loads of lovely shops all across Yorkshire. Its been in production since January this year so it seems like its been about for a really long time. 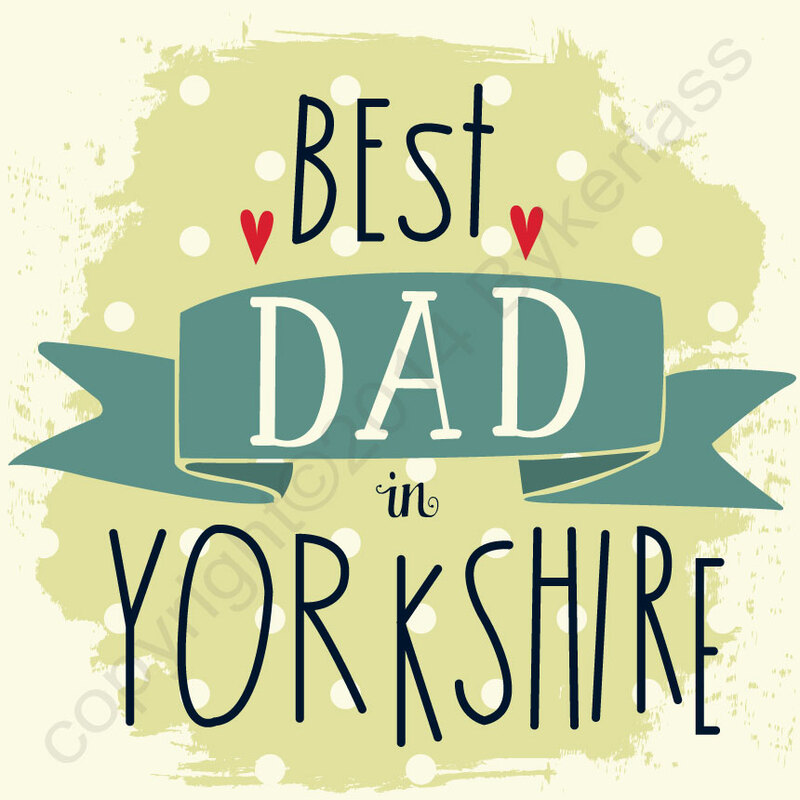 Had lots of dialect help from fellow designer Dawn Machell http://dawnmachell.co.uk/ as she is a Yorkshire lass and was pushing for us to do a Yorkshire range. The influences for this range are pretty apparent. It combines lovely retro colours and textures along with hand drawn fonts. It is stylish and humorous together. As ever the whole range was made in the UK. 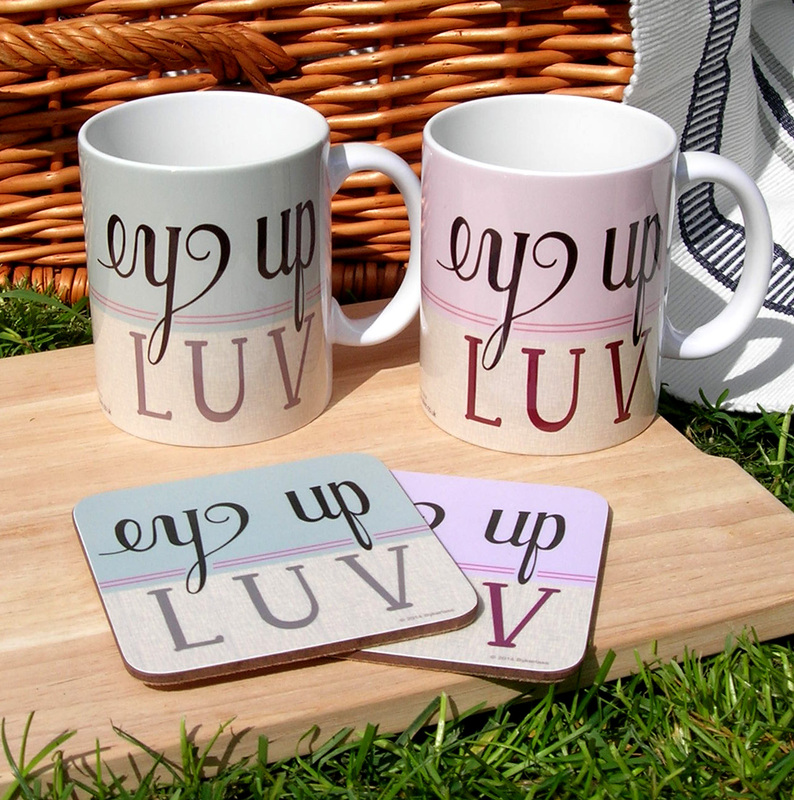 It consists of high quality melamine coasters, beautiful large ceramic mugs and cards. There is a textile element being added so watch this space! 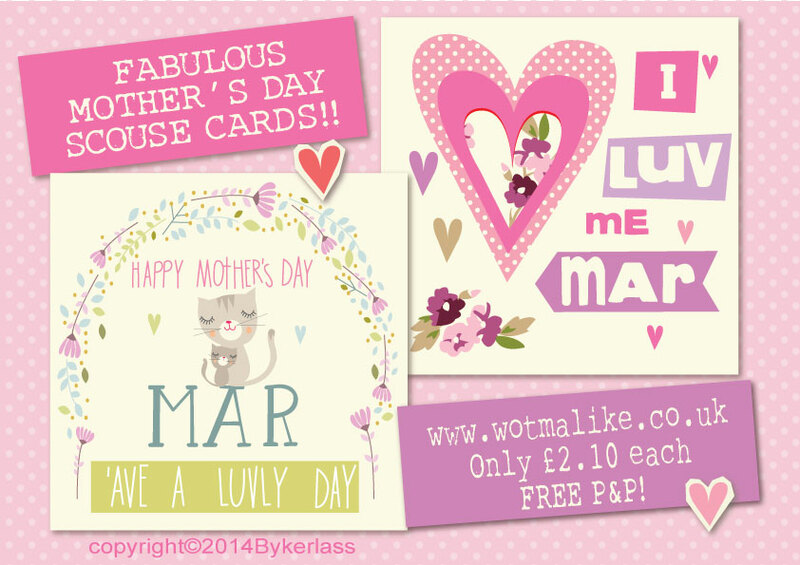 We HEART this range totally its REYT GUD! 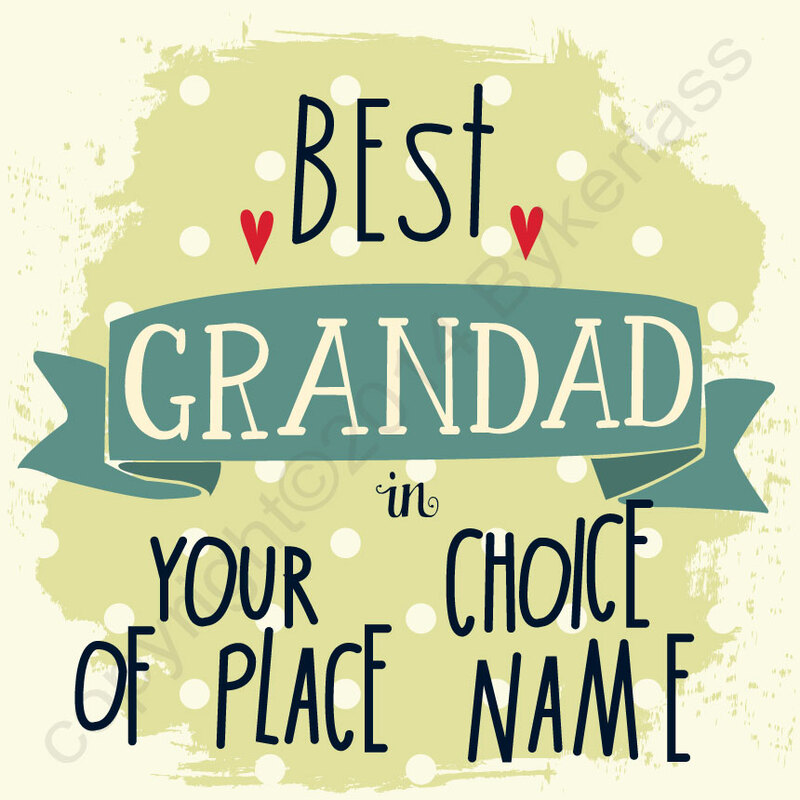 Had an idea to do Best Dad in Newcastle cards then Best Grandad, then Best Daddy. Then gave our customers the option to choose the location and everyone is really happy! Great original cards which can be adapted and sent to ANYONE in the UK. Really love some of the place names – many of which I have never even heard of. Ooooh we’ve got a fab new website now its all singing and dancing and is much easier to use. All the brands are now on this site (GeordieMugs, Scouse Stuff, North Divide, Canny Good, Calm Doon, Wot Fettle and the New MAM CARDS & GIFTS!! 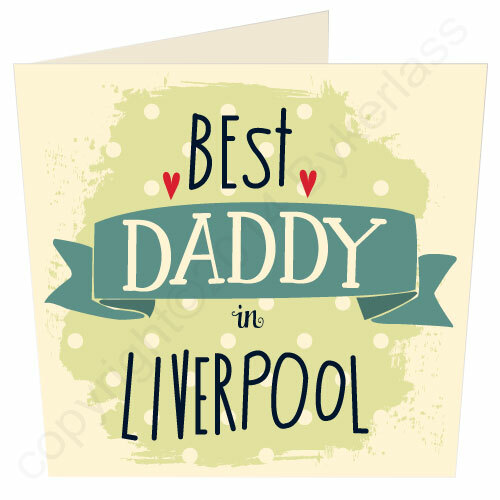 also Scouse Mar Cards for Mother’s Day and finally a snippet of the new Yorkshire Yorkshire range which is going out to stores who have pre-ordered at the end of this month!